Recover and extract evidence artifacts from Incredimail IMM files. Create and save multiple Incredimail file collections for analysis. Automated search for searching Incredimail files from user machine. Availability of multiple views for detailed IMM evidence analysis. Advance searching option for deep scanning of evidences in IMM file. Along with Incredimail File Forensics, the tool can Perform Forensics of 14 Other Email Application Also. Find Option:-To automatically locate the IMM file from local storage. When software completes the scanning process, then IMM forensics tool loads the file in recursive manner in the left panel of the software. Click on the email to analyze it in different preview modes like Hex View, Properties View, Mime View, HTML View, RTF view, Hierarchical view etc. When the IMM forensics tool completes the search process then result is shown in right pane. There is option provided by the tool to save the search result for further analysis. After carving out the information, IMM forensics tool facilitates you to export the Icreimail Email Client IMM file in the format like PDF, HTML, TIFF, CSV etc. Why do Incredimail File Forensics? Incredimail is just the email communication platform to send & receive mails. It is available for free and have its accessibility to wrong persons who involves in the cyber crime activities. The ease of doing, speed with accuracy and relative anonymity of Incredimail made it as a powerful tool for criminals. The email spoofing, email bombing, threatening are the few illegal activities involves the use of email. If the use of incredimail is done to perform any activity which is against the law then to extract or retrieve the evidence Incredimail forensics will be handy. The Incredimail uses the IMM or IML file folder to store the data of incredimail. Analysing the database is the main task involves in Incredimail forensics. IMM forensic tool facilitates the forensicator to create multiple collections of Incredimail files after scanning to save them for future access. This enables to continue the investigation from the last point where it was stopped. The Incredimail Forensics tool recovers the deleted data from Incredimail IMM file that has been deleted accidentally or intentionally. The entire data can be recovered and all the evidences can be easily extracted from the recovered data. In a case, when forensicator are not aware of the location of Incredimail file on the user machine, the auto-search option in the software can be selected. Then software will automatically detect the IMM files from all the drives of the machine. To facilitate detailed analysis of the Incredimail emails, the Incredimail forensics has more than 7 viewing options to give a detailed preview of the mails. The different views are HTML View, Attachments View, RTF View, etc. Once the evidences are carved out from Incredimail emails, it can be exported in different output formats. The evidences can be converted to legally accepted PDF format, as well as to other formats like CSV, EML, MSG, HTML, etc. Does the Incredimail forensics put any limit on the size of Incredimail file that needs to be analyzed? No, there is no size limit as such on the Incredimail IMM file, which needs to be analyzed for extracting evidences. What to do if the storage location of Incredimail file is unknown? In case the storage location of Incredimail IMM file is unknown to the investigator, the auto-search option in the tool can be selected for automatic searching of the file. Does the Incredimail file forensics software save the extracted evidences in legally acceptable format? Yes, the software saves the recovered evidences in a PDF file, which is a legally accepted document format. Incredimail File Forensics has given a new definition to forensic analysis of Incredimail Mails. 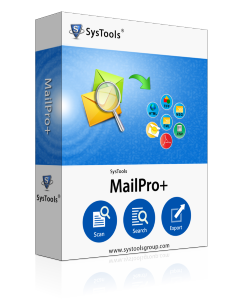 It is an effectual tool, which enabled our team to extract email artifacts from even deleted mails. It gave great results and we have decided to use it for our future cases as well.